California Governor Arnold Schwarzenegger gave RFID technology a shot in the arm last week. On Sept. 30, Schwarzenegger vetoed a state bill that would have placed serious limitations on the use of RFID throughout the state. The decision should pump up the pace of RFID adoption in California, where some projects had stalled while the bill's fate was being determined. 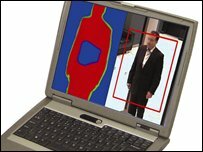 In terminating the Identity Information Protection Act of 2006, Schwarzenegger suggested that the bill was somewhat premature and might contradict federal mandates for the Real ID Act, which was passed by President Bush last year and might incorporate RFID technology into future federal ID cards. California State Senator Joe Simitian, the bill's sponsor, vowed that the bill would be back, most likely reintroduced in January. A statement released by Simitian's office said that he was "both surprised and disappointed by the veto," noting that "the final version of the bill was the result of more than a year of negotiations with the RFID industry. Most industry representatives had dropped their opposition to the bill." The California bill was a scaled-back version of a measure proposed last year, which sought to bar RFID technology from use in public areas for three years. If passed, the latest bill would have done several things to limit the use of RFID technology in public settings, like libraries, state universities and the California public transportation system. The bill sought to ensure that state identification documents such as drivers licenses and health benefit cards would include protective features that safeguarded people's personal information. Second, it would have made it illegal to "skim" or read a person's government-issued identification without his or her knowledge. It also would have required the California Research Bureau to provide the legislature with expert information to guide future policy decisions about the use of RFID technology in government-issued documents. "I think that Governor Schwarzenegger's comments were right on target," says Patrick Sweeney, chief executive officer of RFID solutions provider ODIN technologies, which has several government contracts. "His comments are very much in line in that it doesn't make any sense whatsoever to specifically [limit] a single technology." The veto indicates that some of the recent efforts to educate lawmakers may be starting to pay off. Last month, AIM Global hosted its third annual RFID Executive Summit and Legislative Fly-In. Sixty industry executives from around the world attended the event in Washington, D.C., which included over 40 meetings with Senate and House staffers. Earlier this summer, senators Byron Dorgan (D- N.D.) and John Cornyn (R-Texas) convened a congressional caucus in Washington to discuss RFID. The event included a panel discussion with industry experts and vendor demonstrations, all aimed at educating U.S. policymakers on RFID technology and its potential applications. "I hope this sets the tone for other states," says Sweeney. "We've got several clients out there that would have had to look at how they comply or didn't comply with the law. They are very much appreciative of the decision." Biometrics is more personal than a passport photo or Pin, using traits such as fingerprints, face or eye "maps" as key identifying features. TIA purported to capture the "information signature" of people so that the government could track potential terrorists and criminals involved in "low-intensity/low-density" forms of warfare and crime. The goal was to track individuals through collecting as much information about them as possible and using computer algorithms and human analysis to detect potential activity. The project called for the development of "revolutionary technology for ultra-large all-source information repositories," which would contain information from multiple sources to create a "virtual, centralized, grand database." This database would be populated by transaction data contained in current databases such as financial records, medical records, communication records, and travel records as well as new sources of information. Also fed into the database would be intelligence data. The public found it so abhorrent, and objected so forcefully, that Congress killed funding for the program in September 2003. The government's top intelligence agency is building a computerized system to search very large stores of information for patterns of activity that look like terrorist planning. The system, which is run by the Office of the Director of National Intelligence, is in the early research phases and is being tested, in part, with government intelligence that may contain information on U.S. citizens and other people inside the country. It encompasses existing profiling and detection systems, including those that create "suspicion scores" for suspected terrorists by analyzing very large databases of government intelligence, as well as records of individuals' private communications, financial transactions, and other everyday activities. The information about Tangram comes from a government document looking for contractors to help design and build the system. Data mining for terrorists has always been a dumb idea. And the existence of Tangram illustrates the problem with Congress trying to stop a program by killing its funding; it just comes back under a different name. Short video talking about guthrie cards and blood (dna) samples being stored in databases around Australia. What do you think of surveyance cameras? NEW YORK - The security cameras are watching, a New York rights group warned on Wednesday. Security cameras have increased fivefold in parts of New York City and have become so pervasive that they threaten the rights of privacy, speech and association, the New York Civil Liberties Union, or NYCLU, said in a report. Moreover, there was no evidence the cameras deterred crime, the group said. In 2005 there were 4,176 cameras in three districts of southern Manhattan, up from 769 cameras in a 1998 survey, the report said. "Unregulated video surveillance technology has already led to abuses in New York City, including the police department's creation of visual dossiers on people engaged in lawful street demonstrations and the voyeuristic videotaping of individuals' private and intimate conduct," the group said. 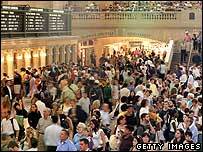 A 1998 study conducted by the NYCLU found 2,397 video surveillance cameras visible from street level in Manhattan. The report said that same number of cameras can be now found in the neighborhoods of Greenwich Village and Soho alone.
" Privacy is an issue because the machines see through clothing." "These and other could be developed for a much more widespread use in public places ," it said. The fate of Gary McKinnon, the alleged NASA hacker, is hanging in balance after his appeal against extradition to the U.S. was adjourned at the Court of Appeal in London on Wednesday evening. Over two days in court, McKinnon's defense team presented new evidence that it said meant the judges should reject his extradition to face charges of breaking into and damaging U.S. government computers. The Court of Appeal is the court of last resort under U.K. law, and usually it will only find for or against the appellant. But the defense argued on Tuesday and Wednesday that evidence brought to light by the McKinnon case raised serious questions about the U.S. government's case. The defense has urged the Court of Appeal to consider referring McKinnon's case back to the U.K. government, or to allow a further appeal to the European Court of Human Rights, if it will not reject the extradition outright. The evidence centered on what was or was not said to McKinnon when he was being offered a plea bargain. More well-known in the U.S., and now also used on an informal basis in the U.K., a plea bargain is when the prosecution offers a reduced sentence or other incentive, in return for a defendant's agreement to cooperate. In this case, if McKinnon agreed to cooperate with them, the U.S. authorities said they would agree to a reduced sentence of three years or less. They would also let him serve the sentence in a U.K. prison and not in an American "super high-security prison," as Edmund Lawson, a lawyer appearing for McKinnon's defense, put it. All parties appear to agree on that part of the description of what happened. But what was said next became the main source of controversy in court. According to McKinnon and his counsel, a U.S. member of the prosecution team then "threatened" McKinnon that if he did not agree to the bargain, they would push for the highest possible penalties and that he would be "turned over to New Jersey authorities to see him fry." And the defense further alleged that the U.S. said that if McKinnon did not agree to the deal, there would be no chance of his serving his sentence in the U.K. near his friends and family. This quickly became known as the "fry" statement. The defense said it could be taken to mean a threat on McKinnon's life, should he be handed over to New Jersey rather than Virginia, the two states where McKinnon was alleged to have damaged IT systems. In fact, if it was a threat, it may be something of an idle one. Although both states have the death penalty, New Jersey has not executed anyone in 20 years, while Virginia is still active in executions. In any case, under European law, McKinnon cannot be extradited from the U.K. to the U.S. if there is a risk of execution. Despite this, Lawson argued that the overt nature of the threat was an infringement on McKinnon's human rights. If so, it could be a matter for the European Court of Human Rights, as could be the threat to withdraw the possibility of serving his sentence in the U.K. The prosecution lawyer, Max Summers, dismissed the points immediately. None of the evidence on the "frying" allegation could be allowed into court since any words spoken during the alleged offer were only done so in confidence, he said. There is no automatic right for an extradited prisoner to serve a sentence back in his own country and the majority do not, especially those extradited from the U.K. to the U.S. As it was, the U.S. was in no position to refute the allegations over "frying," since none of the relevant American staff involved are currently in the U.K., let alone in court this week. If this evidence was to be considered at all, Summers argued, then the U.S. government would need notice and time to get witnesses organized, and so a recess would be required. The defense and prosecution teams and the two judges hearing the appeal discussed the legal consequences of taking the McKinnon case into new legal territory for an extradition hearing for an hour. The court was adjourned at 4:20 p.m. on Wednesday for the Appeal Court judges to consider the options. They could find in favor of the U.S. authorities, meaning McKinnon would soon travel to the U.S., or they could uphold the appeal and allow McKinnon to go free. Alternatively, they could refer the case back to British Home Secretary John Reid, who decided in July 2006 that the extradition should go ahead, or reject McKinnon's appeal but allow a further appeal to the European Court of Human Rights. A decision is expected next week. McKinnon himself did not attend the appeal, and saw a doctor on Wednesday following heart palpitations. European citizens are getting the chance to shape policy on smart tags. The European Commission is setting up a group made up of citizens, scientists, data protection experts and businesses to discuss how the tags should be used. Radio Frequency Identification (RFID) tags store data about the objects they are attached to, and are already used by some firms and supermarkets. The new group is a result of a year-long consultation to assess European feeling towards radio tags. The stakeholders may eventually draft new regulations to police the tags, but, for now, the commission proposes no new laws to govern their use. "We must not over-regulate RFID (Radio Frequency Identification)," said Viviane Reding, information society and media commissioner, during a news conference at the Cebit show, where the results of the 12-month consultation were unveiled. Ms Reding said the market for the radio tags had to be given the chance to grow without interference from the European Commission. "Europe is very strong in this domain," said Ms Reding. "I think we are in the driving seat." Smart radio tags typically unite a small chunk of computer memory with a radio transmitter. Businesses see huge advantages to labelling goods with these tags as they will streamline delivery networks and help manage stocks on shelves. Ms Reding said that smart tags had already generated about 500m euros (£340m) in revenues across Europe, and this was expected to grow to more than 7bn euros (£4.7bn) within 10 years. Ms Reding warned that heavy-handed regulation could stunt this growth. Instead, she said, industry had to get the chance to "go for it". "It's the whole application of these chips to solve problems in our society that will be of the utmost importance," she said. "But, we must also make the industry be aware of the fact that the 'internet of things' has to become an 'internet for people'." The RFID Stakeholder Group will help to oversee the growing use of smart radio tags and look into ways for consumers to protect themselves from the potential casual surveillance that they make possible. Ms Reding said the group would aim to produce recommendations by the end of 2008. These could include amendments to existing e-privacy directives or guidelines for businesses on how RFID tags can be used when they affect consumers. While businesses using RFID tags to mark such things as shipping containers may not have to think about consumers, others will have to take this into account, said Ms Reding. She cited the example of German retail giant Metro, which had run trials in which shoppers deactivated any tags on the goods they had bought at the checkout. Ms Reding said the stakeholder group would also drive European Commission efforts to educate people about smart tags and their potential uses. One of the most striking results from the year-long consultation, she said, was the 60% of respondents who said they simply did not know enough about the technology to know whether it would be good or bad. Despite this, 55% of the respondents to the consultation said regulations would be needed to police the use of the tags. Soon it will be your turn! These days Mahendra Sahni, a daily wage worker in India's most backward state of Bihar, struts up to a gleaming new cash machine in his village to withdraw his hard earned money. Now, when he inserts a cash card into the machine, he is greeted with an voice instruction in Hindi: "Please put your thumb on the specified space." When he does that, crisp currency notes roll out of the machine with the voice saying, "Your cash is ready. Please accept it." "This shows how science has made progress and can be used for poor village people like us," says Sahni. "It is basically for poor workers like Sahni who cannot read or write their names. 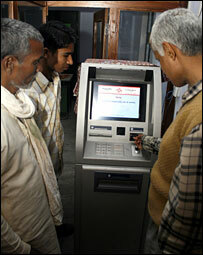 Banking for them will become easy with these cash machines," says the bank's local manager Pranay Kumar. Central Bank's executive director K Subramanyam says biometric devices will go a long way in offering banking services in India's villages where 70% of its people live. Payment through cash machines will also protest the workers from local contractors who routinely extract a cut from their wages in return of getting them on the list of government employment schemes. "Withdrawing money couldn't be a better experience," he says. "Five nine, five ten," said the research student, pushing down a laptop button to seal the measurement. "That's your height." "OK, we're freezing you now," interjected another student, studying his computer screen. "So we have height and tracking and your gait DNA". "Gait DNA?" I interrupted, raising my head, so inadvertently my full face was caught on a video camera. "Have we got that?" asked their teacher Professor Rama Challapa. "We rely on just 30 frames - about one second - to get a picture we can work with," he explained. I was at Maryland University just outside Washington DC, where Professor Challapa and his team are inventing the next generation of citizen surveillance. They had pushed back furniture in the conference room for me to walk back and forth and set up cameras to feed my individual data back to their laptops. Gait DNA, for example, is creating an individual code for the way I walk. 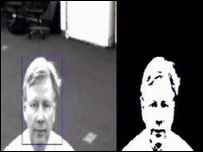 Their goal is to invent a system whereby a facial image can be matched to your gait, your height, your weight and other elements, so a computer will be able to identify instantly who you are. "As you walk through a crowd, we'll be able to track you," said Professor Challapa. "These are all things that don't need the cooperation of the individual." Since 9/11, some of the best scientific minds in the defence industry have switched their concentration from tracking nuclear missiles to tracking individuals such as suicide bombers. My next stop was a Pentagon agency whose headquarters is a drab suburban building in Virginia. The Defence Advanced Research Projects Agency (Darpa) had one specific mission - to ensure that when it comes to technology America is always ahead of the game. Its track record is impressive. Back in the 70s, while we were working with typewriters and carbon paper, Darpa was developing the internet. In the 90s, while we pored over maps, Darpa invented satellite navigation that many of us now have in our cars. "We ask the top people what keeps them awake at night," said its enthusiastic and forthright director Dr Tony Tether, "what problems they see long after they have left their posts." "And what are they?" I asked. He paused, hand on chin. "I'd prefer not to say. It's classified." "All right then, can you say what you're actually working on now." "Oh, language," he answered enthusiastically, clasping his fingers together. "Unless we're going to train every American citizen and soldier in 16 different languages we have to develop a technology that allows them to understand - whatever country they are in - what's going on around them. "I hope in the future we'll be able to have conversations, if say you're speaking in French and I'm speaking in English, and it will be natural." "And the computer will do the translation?" "Yep. All by computer," he said. "And this idea about a total surveillance society," I asked. "Is that science fiction?" "No, that's not science fiction. We're developing an unmanned airplane - a UAV - which may be able to stay up five years with cameras on it, constantly being cued to look here and there. This is done today to a limited amount in Baghdad. But it's the way to go." Interestingly, we, the public, don't seem to mind. Opinion polls, both in the US and Britain, say that about 75% of us want more, not less, surveillance. Some American cities like New York and Chicago are thinking of taking a lead from Britain where our movements are monitored round the clock by four million CCTV cameras. So far there is no gadget that can actually see inside our houses, but even that's about to change. Ian Kitajima flew to Washington from his laboratories in Hawaii to show me sense-through-the-wall technology. "Each individual has a characteristic profile," explained Ian, holding a green rectangular box that looked like a TV remote control. Using radio waves, you point it a wall and it tells you if anyone is on the other side. His company, Oceanit, is due to test it with the Hawaiian National Guard in Iraq next year, and it turns out that the human body gives off such sensitive radio signals, that it can even pick up breathing and heart rates. "First, you can tell whether someone is dead or alive on the battlefield," said Ian. "But it will also show whether someone inside a house is looking to harm you, because if they are, their heart rate will be raised. And 10 years from now, the technology will be much smarter. We'll scan a person with one of these things and tell what they're actually thinking." "Yeah, I know," he said. "It sounds very Star Trekkish, but that's what's ahead." From Our Own Correspondent was broadcast on Saturday, 15 September, 2007 at 1130 BST on BBC Radio 4. Please check the programme schedules for World Service transmission times. Germany's highest court has ruled that spying on personal computers violates privacy, but governments across Europe are under pressure to help their security services fight terrorism and organised crime[OK...]. Here, BBC reporters give a snapshot of the extent of surveillance across Europe. "The threat of terrorism has forced the German government to take stricter measures"
"Privacy campaigners say the UK has some of the world's leading surveillance systems"
"On the whole, the French are not big fans of surveillance equipment." "Italians are among the most spied upon people in the world, says the Max Planck Institute"
"Greece has such strong constitutional protection against state sponsored spying"
"CCTV monitoring, while extensive in other parts of Europe, is not widespread"
Unlike current security systems that use X-rays, the ThruVision system exploits terahertz rays, or T-rays. This electromagnetic radiation is a form of low level energy emitted by all people and objects. These are able to pass through clothing, paper, ceramics and wood but are blocked by metal and water. The system works by collecting these waves and processing them to form an image which can reveal concealed objects. "If I were to look at you in terahertz you would appear to glow like a light bulb and different objects glow less brightly or more brightly," said the firm's spokesperson. "You see a silhouette of the form but you don't see surface anatomical effects." In addition, the system does not involve any of the "harmful radiation associated with traditional X-ray security screening", according to the firm. 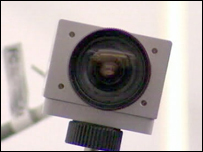 The company has made previous versions of the camera, but the T5000, as it is known, is the first that works both indoors and out. The system exploits technology originally developed at the government owned Rutherford Appleton Laboratory (RAL) in Oxfordshire. "Astronomers use T-ray cameras that can see through dust and clouds in space, revealing what lies beyond," explained Dr Liz Towns-Andrews, of the Science and Technology Facilities Council which runs RAL. Other terahertz systems, developed by companies such as TeraView, are used to probe the structure of *SPAM* compounds. "Avoid the hassle of airport security every time you fly." This is the rhetoric being used to entice U.S. citizens to voluntarily provide their biometric information to the U.S. government. The program, called "clear," is being installed at airports around the country now. 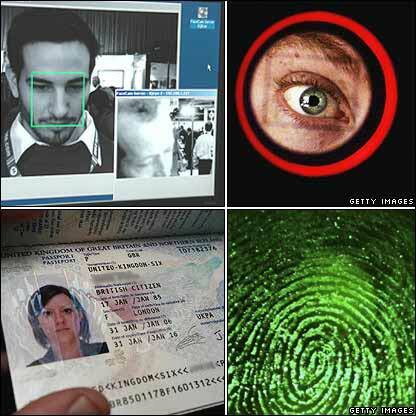 For a little background on this, view a post at this website from September 2005, called Securitizing the Global Norm of Identity: Biometric Technologies in Domestic and Foreign Policy. In Fallujah, the cataloging of human beings has been involuntary since the U.S. siege of that city in November 2004. Having retina scans, fingerprinting and bar-code IDs is mandatory there for Iraqis. But now, in the "homeland" of the United States, you too can join the happy club of those giving their biometric data to the federal government. Just bring two forms of government issued identification to your local Clear airport or various downtown location, enroll, pay the $128 fee, wait 2-3 weeks, and then if you are accepted, step up to your nearest scanner, and try not to blink as your retina is scanned. These kiosks are planned for airports in New York, Denver, Oakland, and many others. So, no need to be intimidated by the government’s desire to use biometric data to catalog U.S. citizens, (or Iraqis for that matter), as you can rest more peacefully knowing you are now more secure. You can learn more about this safe, fast, and helpful way to get through airport security in four minutes or less, here. A new DNA technology hailed as having the potential to solve thousands of murders, rapes and other serious crimes could lead to innocent people being convicted, one of Britain’s most respected forensic scientists has warned. DNAboost, a computer software program that unravels DNA samples where a surface or material has been touched by more than one person, should be subject to widespread testing among the scientific community before it is introduced for use by police across Britain, according to Professor Allan Jamieson, director of the Forensic Institute in Glasgow. His concerns about another method of DNA detection, low copy DNA, led to the collapse last year of the trial of Sean Hoey, the Omagh bomb suspect, and to the technique being suspended by police forces. He said that the future success of DNAboost could be put at risk by a “cavalier” approach to its use. The software has already been piloted by four police forces in northern England, at least one of which has praised it publicly and claims it has provided more “hits” on possible suspects. It has been hailed for its crime-fighting potential by Tony Blair, while experts have said that it could identify up to 6,000 extra suspects each year. The Stasi secret police may have died with communism but its surveillance methods are still alive at Lidl, the German supermarket chain. George Orwell's Big Brother, it seems, stalks the aisles between the cornflakes and the canned dogfood. Detectives hired by Lidl - which has more than 7,000 stores worldwide, including 450 in Britain - have been monitoring romance at the cash till, visits to the lavatory and the money problems of shelf-stackers. Several hundred pages of surveillance records have been passed on to Stern magazine, causing outrage among the unions and data protection officials. Verdi, the powerful service sector union, is offering legal help to Lidl workers who want to sue the company for invasion of privacy. Little escapes Lidl. Above all there is a fascination with lavatory behaviour. “Ms R has been leaving the till to go to the toilet every 15 minutes, despite waiting customers,” says one report. Among the crates of cheap German beer at Lidl's Brixton branch, there would be plenty of places to hide cameras. The store's deputy manager, who declined to be named, told The Times that he had no knowledge of any covert surveillance in his branch. He said that the rows of roof-mounted cameras are there only for security. MIAMI (Reuters) - Miami police could soon be the first in the United States to use cutting-edge, spy-in-the-sky technology to beef up their fight against crime. A small pilotless drone manufactured by Honeywell International, capable of hovering and "staring" using electro-optic or infrared sensors, is expected to make its debut soon in the skies over the Florida Everglades. If use of the drone wins Federal Aviation Administration approval after tests, the Miami-Dade Police Department will start flying the 14-pound (6.3 kg) drone over urban areas with an eye toward full-fledged employment in crime fighting. "Our intentions are to use it only in tactical situations as an extra set of eyes," said police department spokesman Juan Villalba. Miami-Dade police are not alone, however. Taking their lead from the U.S. military, which has used drones in Iraq and Afghanistan for years, law enforcement agencies across the country have voiced a growing interest in using drones for domestic crime-fighting missions. Known in the aerospace industry as UAVs, for unmanned aerial vehicles, drones have been under development for decades in the United States. The CIA acknowledges that it developed a dragonfly-sized UAV known as the "Insectohopter" for laser-guided spy operations as long ago as the 1970s. And other advanced work on robotic flyers has clearly been under way for quite some time. U.S. Customs and Border Protection has been flying drones over the Arizona desert and southwest border with Mexico since 2006 and will soon deploy one in North Dakota to patrol the Canadian border as well. This month, Customs and Border Protection spokesman Juan Munoz Torres said the agency would also begin test flights of a modified version of its large Predator B drones, built by General Atomics Aeronautical Systems, over the Gulf of Mexico. Citing numerous safety concerns, the FAA -- the government agency responsible for regulating civil aviation -- has been slow in developing procedures for the use of UAVs by police departments. "You don't want one of these coming down on grandma's windshield when she's on her way to the grocery store," said Doug Davis, the FAA's program manager for unmanned aerial systems. He acknowledged strong interest from law enforcement agencies in getting UAVs up and running, however, and said the smaller aircraft particularly were likely to have a "huge economic impact" over the next 10 years. Getting clearance for police and other civilian agencies to fly can't come soon enough for Billy Robinson, chief executive of Cyber Defense Systems Inc, a small start-up company in St. Petersburg, Florida. His company makes an 8-pound (3.6 kg) kite-sized UAV that was flown for a time by police in Palm Bay, Florida, and in other towns, before the FAA stepped in. "We've had interest from dozens of law enforcement agencies," said Robinson. "They (the FAA) are preventing a bunch of small companies such as ours from becoming profitable," he said. "There's been controversies all around about putting up surveillance cameras in public areas," said Howard Simon, Florida director of the American Civil Liberties Union. The Comcast case is a rare example of the government getting into the ISP contract nitty-gritty. "There really should be an onus on the regulators to see this kind of thing is done correctly," said Bob Williams, who deals with telecom and media issues at Consumers Union. NEW YORK - What's scary, funny and boring at the same time? It could be a bad horror movie. Or it could be the fine print on your Internet service provider's contract. Those documents you agree to — usually without reading — ostensibly allow your ISP to watch how you use the Internet, read your e-mail or keep you from visiting sites it deems inappropriate. Some reserve the right to block traffic and, for any reason, cut off a service that many users now find essential. "The network is asserting almost complete control of the users' ability to use their network as a gateway to the Internet," said Marvin Ammori, general counsel of Free Press, a Washington-based consumer advocacy group. "They become gatekeepers rather than gateways." But the provisions are rarely enforced, except against obvious miscreants like spammers. Consumer outrage would have been the likely result if AT&T Inc. took advantage of its stated right to block any activity that causes the company "to be viewed unfavorably by others." Jonathan Zittrain, professor of Internet governance and regulation at Oxford University, said this clause was a "piece of boilerplate that is passed around the corporate lawyers like a Christmas fruitcake. "The idea that they would ever invoke it and point to it is nuts, especially since their terms of service already say they can cut you off for any reason and give you a refund for the balance of the month," Zittrain said. AT&T removed the "unfavorably by others" wording in February after The Associated Press asked about the reason behind it. Subscribers, however, wouldn't know that it was gone unless they checked the contract word for word: The document still said it was last updated Oct. 8, 2007. Most companies reserve the right to change the contracts at any time, without any notice except an update on the Web site. Verizon used to say it would notify subscribers of changes by e-mail, but the current contract just leaves that as an option for the company. This sort of contract, where the subscriber is considered to agree by signing up for service rather than by active negotiation, is given extra scrutiny by courts, Zittrain said. Any wiggle room or ambiguity is usually resolved in favor of the consumer rather than the company. Yet the main purpose of ISP contracts isn't to circumscribe the service for all subscribers, but rather to provide legal cover for the company if it cuts off a user who's abusing the system. "Without the safeguards offered in these policies, customers could suffer from degradation of service and be exposed to a broad variety of malware threats," said David Deliman, spokesman at Cox Communications. The language does matter: In a case involving a student accused of hacking, a federal appeals court held last year that subscribers should have a lower expectation of privacy if their service provider has a stated policy of monitoring traffic. But these broadly written contracts still don't provide all the legal cover ISPs want. Comcast Corp. is being investigated by the Federal Communications Commission for interfering with file sharing by its subscribers. The company has pointed to its Acceptable Use Policy, which said, in general terms, that the company had the right to manage traffic. Since the investigation began, it has updated the policy to describe its practices in greater detail, and recently said it would stop targeting file-sharing once it puts a new traffic-management system in place late this year. The Comcast case is a rare example of the government getting into the nitty-gritty of one of these contracts. "There really should be an onus on the regulators to see this kind of thing is done correctly," said Bob Williams, who deals with telecom and media issues at Consumers Union. If there were more competition, market forces might straighten out the contracts, he said. But most Americans have only two choices for broadband: the cable company or the phone company. Williams himself knows that it's tough to pay attention to the contracts. He recently had Verizon Communications Inc.'s FiOS broadband and TV service installed in his home. Only after the installation was completed did he get the contract in the mail. He could have read some of the terms earlier, when placing the order online, but he just clicked the "Accept" button. "I'm a hard-nosed consumer advocate type ... I really should have examined it better than I did," he said. But, he added, he acted like most consumers, because of the lack of alternatives. "You click the 'Accept' button because it's not like you're going somewhere else." Practically all ISPs reserve the right to read your e-mails and look at the sites you visit, without a wiretap order. This reflects the open nature of the Internet _ for privacy purposes, e-mails are more like postcards than letters. It's also prompted by the ISPs' need to identify and stop subscribers who use their connections to send spam e-mails. Some ISPs, like AT&T Inc., make clear that they do not read their subscriber's traffic as a matter of course, but also that they need little or no excuse to begin doing so. Cablevision, a cable operator in the Northeast, says one of the reasons it might look at what a customer is doing online would be to help operate its service properly. The federal Electronic Communications Privacy Act protects e-mail and other Internet communications from eavesdropping, but several of its provisions can be waived by agreements between the ISP and the subscriber. Also, the law is mainly aimed at making it difficult for the government, not companies, to snoop. Wiretapping laws may also apply, but the situation is unclear. A federal appeals court panel in 2004 dismissed charges against a company that provided e-mail services for booksellers and snooped on their Amazon.com order confirmations. The charges of illegal wiretapping were reinstated by the full appeals court the next year, but the case hasn't been tried. Or at least they would like to think so. In a clause typical of ISPs, Comcast reserves the right to block or remove traffic it deems "inappropriate, regardless of whether this material or its dissemination is unlawful." The ISP sees itself as the sole judge of whether something is appropriate. Broad enforcement of this kind of clause for business purposes other than protecting users is likely to draw attention from regulators like the FCC, as is happening in the Comcast file-sharing case. For cable ISPs, up to 500 households may be sharing the capacity on a single line, and a few traffic hogs can slow the whole neighborhood down. But rather than saying publicly how much traffic is too much, some cable companies keep their caps secret, and simply warn offenders individually. If that doesn't work, they're kicked off. It's difficult to reach these secret bandwidth caps unless users are downloading large amounts of high-quality video from the Internet, but the advent of high-definition Internet video set-top boxes like the Apple TV and the Vudu could make it more common. Oddly, some ISPs, like Cox, say it's the responsibility of subscribers to ensure that they don't hog the traffic of other subscribers, a determination that's impossible for a home broadband user. Cox, however, does make the monthly download and upload limits public on its Web site. Time Warner Cable Inc. has said it will test putting public caps on how much new subscribers in Beaumont, Texas, can download per month, and charge them more if they go over. Digital subscriber line providers like AT&T and Verizon aren't as concerned about bandwidth hogs, because phone lines aren't shared among households. Well GG, I've had a lot of catching up to do since I've been away. Great thread, tons of interesting articles and links. 1984; WILL YOU LET IT COTROL YOUR LIFE !!!!!!!!!!!!!!!!!!!!!!!! !